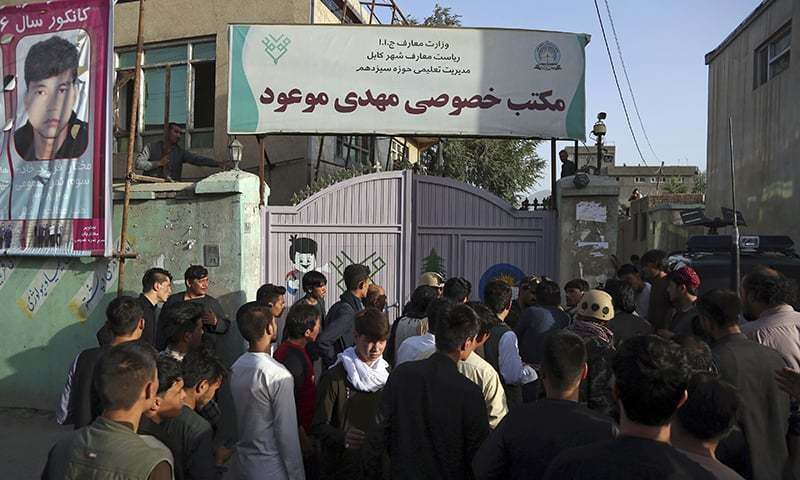 A suicide bomber struck a private education centre in a Shia neighbourhood of Kabul on Wednesday where high school graduates were preparing for university entrance exams, killing 48 young men and women and leaving behind a scene of devastation and tragedy. 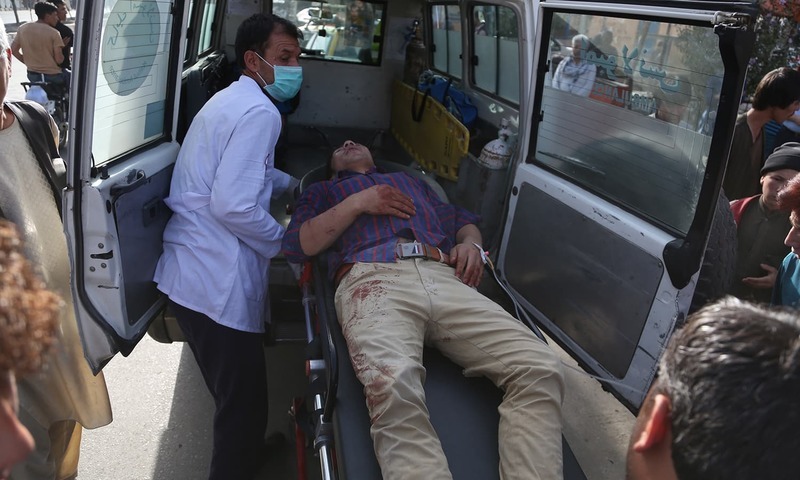 The bombing, blamed on the Islamic State group, was the latest assault on Afghanistan's Shia community, which has increasingly been targeted by extremists. 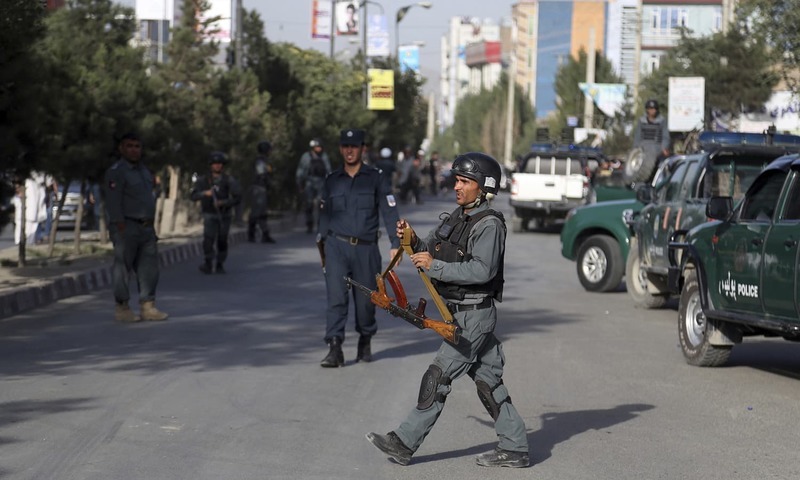 It was not immediately clear how the bomber managed to sneak into the building, used by the Shia community as an education centre, in the Dasht-i Barcha area of Kabul. 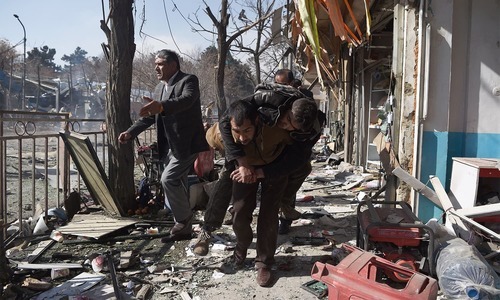 The spokesman for the public health ministry, Wahid Majroh, said 67 people were also wounded in the bombing and that the death toll which steadily rose in the immediate aftermath of the bombing could rise further. He did not say if all the victims were students and whether any of their teachers were also among the casualties. Fareba was traumatised that so many of her friends were killed, but Hossain said she was lucky to be alive. 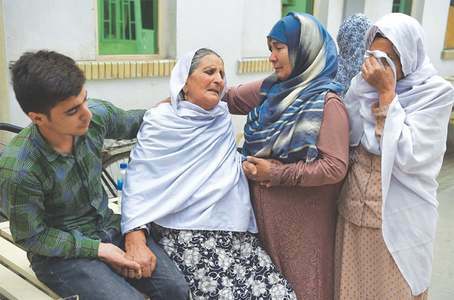 No group immediately claimed responsibility for the attack but Jawad Ghawari, a member of the city's Shia clerical council, blamed IS, which has carried similar attacks on Shias in the past, hitting mosques, schools and cultural centres. 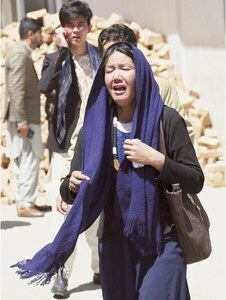 In the past two years, there were at least 13 attacks on the Shia community in Kabul alone, he said. Afghan President Ashraf Ghani condemned the “terrorist” attack that “martyred and wounded the innocent” students attending class and ordered an investigation into the attack. Life was gradually returning to normal on Wednesday in parts of the eastern city of Ghazni after a massive, days-long Taliban attack, though sporadic gunbattles was still underway in some neighbourhoods. The Taliban launched a coordinated offensive last Friday, overwhelming the city's defenses and capturing several neighbourhoods. Afghan forces repelled the initial assault and in recent days have struggled to flush the insurgents out of residential areas where they are holed up. The United States and NATO launched airstrikes and sent military advisers to aid Afghan forces as they fought for the city, just 120 kilometres (75 miles) from the Afghan capital with a population of some 270,000 people. The Taliban have seized several districts across the country in recent years and carry out near-daily attacks targeting Afghan security forces. The assault on Ghazni was widely seen as a show of force ahead of possible peace talks with the US, which has been at war in Afghanistan for nearly 17 years. The Foreign Office (FO) in Islamabad strongly condemned the "inhuman and incomprehensible act of terrorism" through Twitter. FO spokesperson Dr Muhammad Faisal tweeted: "We strongly condemn this inhuman and incomprehensible act of terrorism at an educational institute in kabul. Our hearts go out to the affected families." US has failed miserably against Taliban. Furthermore they are busy estranging Pakistan without which there can never be peace in Afghanistan. No talks should be held with the groups who are targeting innocent people in the name of faith but they should be ruthlessly eliminated. RIP foreign occupying forces must leave Afghanistan, they are responsible for all the mess in Afghanistan. I strongly condemn the attack. Rest in peace to all martyr and speedy recovery to all.. This is absolutely horrible. The situation in Afghanistan is going from bad to worse everyday and clearly the US/International forces are turning the area into another Afghanistan. Pakistan needs to fully close the border and complete the fencing to prevent any spill over the now growing IS group there. Condolence to all those innocent people who have lost their lives and their families. Who is financing this Shia-specific suicide bombings in Afghanistan as well as in Quetta and Parachinar region in Pakistan. There have to be some powerful and wealthy anti-Shia patrons of terrorist groups, possibly outside of Pakistan and Afghanistan. WE have enemies all around us who are intend on destroying our culture, way of life through occupation, bombing and so on and yet we are our own enemies hell bent on destroying each others on petty issues. When are we going to get our act together. It is a point to ponder that who is behind such attacks? These attacks were once happening in Pakistan now the focus has shifted to Afghanistan. Its goal is to ignite the civil war within the country. This is what cowards do. Shame on them for killing the innocent.